Ice hockey is not usually my thing. However, while at a bar in central Helsinki watching Finland play Canada, I was absorbed by the atmosphere. 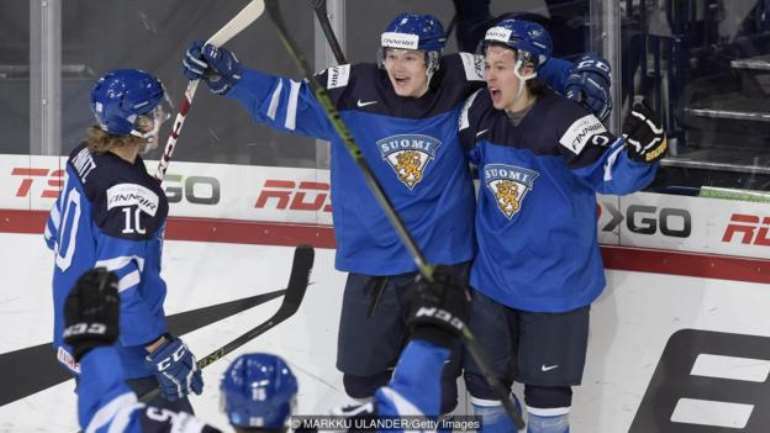 Ice hockey is one of the most popular sports in the northern European country, and the Finns had high hopes for their team. Their national pride was contagious. The camera zoomed in on the Finnish players and I saw a word I didn’t recognise splashed across a jersey: ‘SUOMI’. At first I thought it was the player’s name, but then I noticed the same word on every uniform. “What does ‘Suomi’ mean?” I asked my friend Krista Fransman, a Helsinki local. “Finland,” she replied. The Finns are not ones for small talk. “Not in Finnish,” she chuckled. During the intermission, Fransman explained that the name ‘Finland’ was not Finnish-born. In fact, the original Finnish alphabet didn’t even contain the letter ‘f’, which was introduced to the language through borrowed words. One theory is that the name ‘Finland’ comes from the Old English word finna, a general term once used to describe people from Scandinavia. 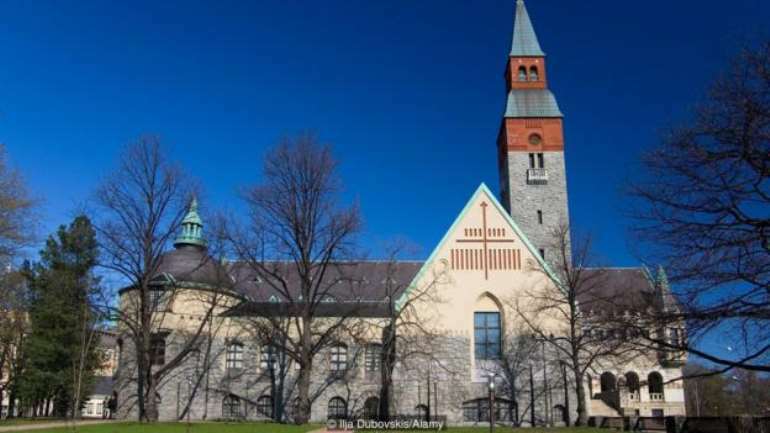 However, some historians believe its origins are actually Swedish, where the words finlonti and finlandi are believed to have been used as early as the 12th Century to describe the land that is now the south-western part of modern Finland. Despite having being referred to by some variation of ‘Finland’ since medieval times, the Finns continue as they have for centuries, referring to their country, and themselves, as ‘Suomi’. It made me wonder: where did the name ‘Suomi’ come from, and how does it fit into the modern Finnish identity? I began my quest at the National Museum of Finland. In 2017, the country celebrated the 100th anniversary of its independence, and the museum’s new permanent exhibition, The Story of Finland, recounts the country’s transition to an autonomous nation. From 1809 to 1917 Finland was a Grand Duchy under the Russian Empire; before that, the territory was under Swedish control for almost 700 years. Between these two northern powers, the land that Finland now occupies was fought over repeatedly; occupied and re-occupied from both sides. The Russian Revolution paved the way for the Finns to declare their independence. The exhibition shows the young nation’s continued struggle to form a democratic society while, at the same time, attempting to bolster a national identity – one that emphasised openness (in 1906, Finland became the first European country to grant voting rights to all adult citizens). But nowhere did I find any mention of the name ‘Suomi’, or why modern-day Finns still prefer to use it over ‘Finland’. A third theory led me to Finnish Lapland in search of the Sami, a traditionally nomadic tribe of reindeer herders. According to Klaas Ruppel, etymology expert at the Institute for the Languages of Finland, some linguists believe that both ‘Sami’ and ‘Suomi’ derive from the same proto-Baltic word, ÅºemÄ“ , which was used to refer to land or territory, and the people living on that land. In winter, Lapland looks like a scene out of a storybook. Like a giant over-chilled freezer, everything was covered in powdery snow, frozen and shaped by the extreme arctic wind. It was so white that I needed clichés to describe it: enchanting, magical, a wonderland. It was surrounded by this captivating scenery that I met with sixth-generation reindeer herder Juha Kujala and his 19-year-old son Oskari at their family farm near Ruka, more than 800km north of Helsinki. They led me through the wooden gates and I was immediately surrounded by curious reindeer; some sniffed and nudged at my handbag in hope of finding a snack. Oskari laughed and began to introduce me to the herd. “I know all the reindeer. They are family to me,” he added. The bond between Oskari and the herd has been passed down from grandfather to father, now to son. Although he is currently studying sports coaching at university, Oskari believes this is where his future is. 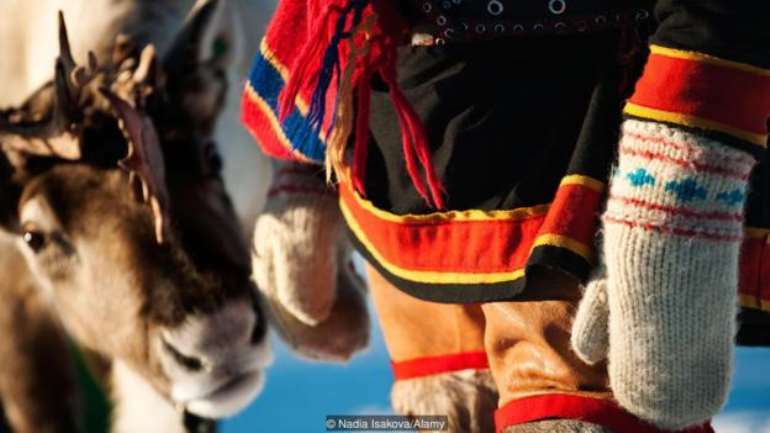 While traditionally Finland’s Sami identify themselves as Sami first and Finnish second, this connection to the land seemed similar to the importance Finns place on nature and their surroundings. 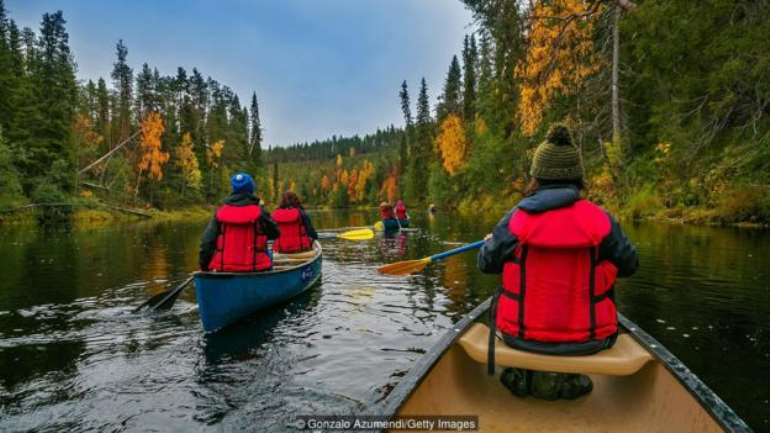 Finland is regularly rated one of the most environmentally-friendly nations in the world, according to the Yale Center for Environmental Law & Policy’s annual Environmental Performance Index, and the country recently created its 40th national park. So was this bond with the land the cornerstone to Finnish – or Suomi, rather – identity? Due to Swedish and Russian influence, “We really only have the last 100 years to celebrate ourselves as Suomi, or Finland as you know it,” explained Fransman. She and I had met again after my return from Lapland for a sauna session in the Helsinki neighbourhood of Kallio. 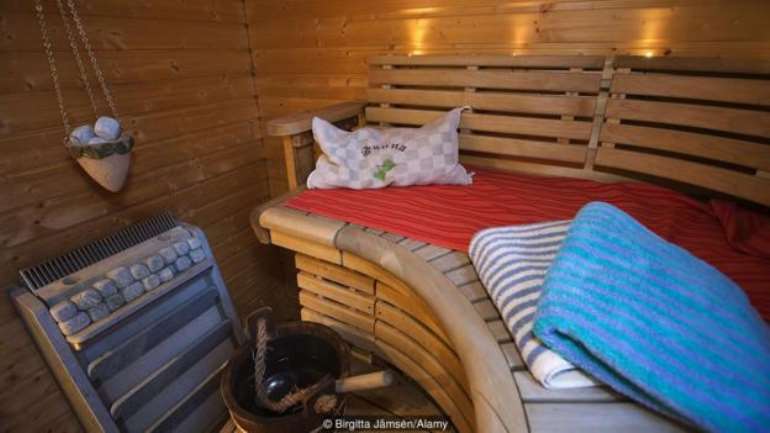 If there is any activity that defines what Finns most enjoy about life, it is the sauna. “What you have to remember is that Finnish history is also Swedish history and Russian history,” she added, noting that she struggles to define her national identity. “Does the use of ‘Suomi’ make a Finn feel more Finnish?” I asked as I threw another scoop of water onto the hot rocks, causing them to hiss violently. The burst of fresh steam quickly elevated the temperature in the sauna, and we both paused to adjust before continuing the conversation. However, Fransman added, Finnish, or Suomi, identity wasn’t something she spent much time thinking about. 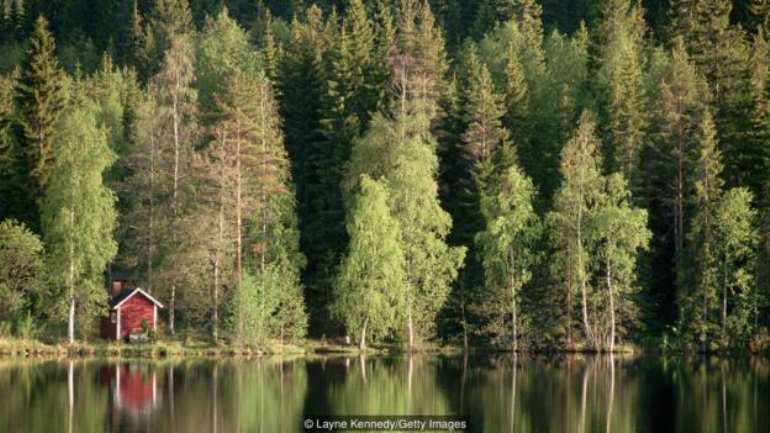 “Being Finnish means I appreciate quietness, the space and the nature around us,” she said. With that, I joined her in silence that lasted the duration of the sauna session, allowing us both to embrace the peacefulness of our surroundings.